President Coolidge: “Yes, I would be glad to, and whenever you want to know what my position is on any subject, if you will just glance at that index it will very quickly refer you to a place in the book where you can learn what I have said in relation to a very great many different subjects” — Press Conference on March 12, 1926. What elected official today would gladly refer you to something they already said that had been set in printed form going back as many as four years? “An extremely interesting study is the relation of President Coolidge to the Presidency itself. He has reversed a recent tradition of the Presidential office. For a quarter of a century our Presidents have professed democracy and have practised benevolent autocracy. They believed that they could advance the welfare of the nation better than the people could advance it. They announced what they declared to be progressive policies and tried to convert the people to these policies. They tried to improve government from the top. 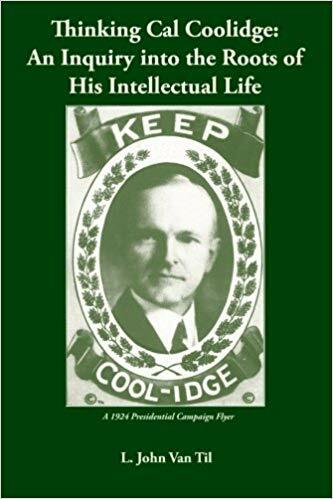 “It is worthy of note here that President Coolidge has appointed more committees of private citizens to investigate and report upon current problems for his guidance than any other President. He thus utilizes the resources of political wisdom embodied in the citizenry. “In following this habit of direct reliance upon the mass of the people the radio has fitted into the situation perfectly. It seemed to have been invented for him. It came just as he did. His voice is perfectly adapted to its use in an enunciation clear and distinct. The invisible audience without the dramatic appearance of the speaker must listen, if at all, to the thought of the speaker. In this role the President shines. It has thus placed him in direct communication with the people. 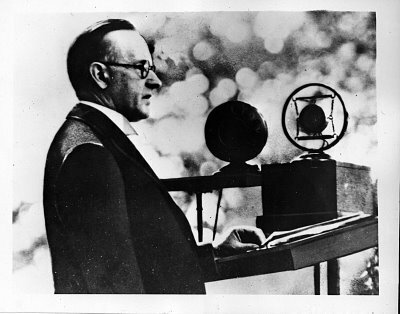 It is estimated that thirty million listeners heard his speech the night before the last national election and as many more during the campaign. Repeatedly he has utilized this instrumentality to give the people his views simultaneously in all parts of the country. It may, in part, account for the unanimity of sentiment now prevailing on public issues” — C. Bascom Slemp, An Analysis and an Interpretation to The Mind of the President, 1926, pp.4-6, 8-11. 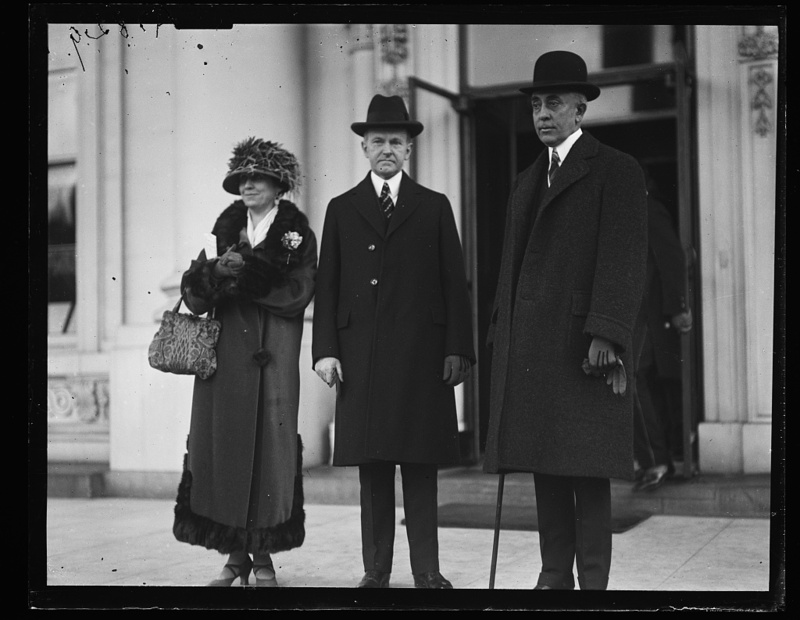 The President, First Lady and Mr. Slemp outside the White House, February 1924.